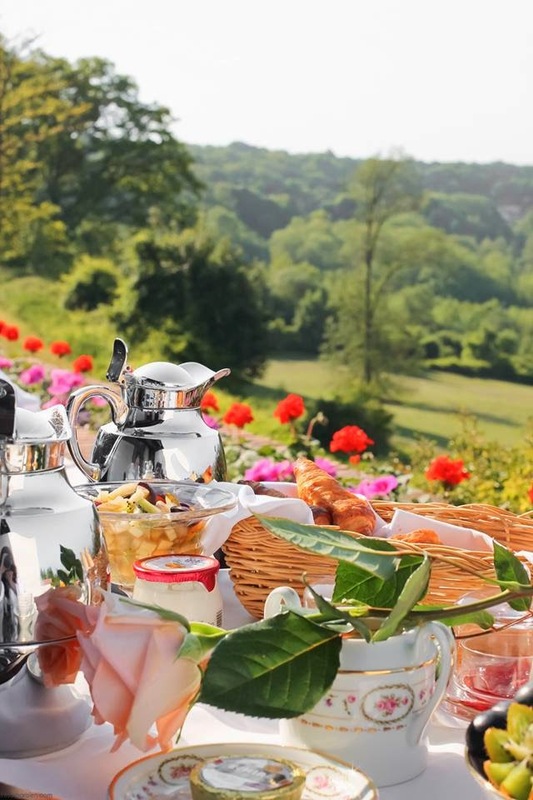 French Women believe in starting their day with a good breakfast. of seasonal fruits and yogurt, as well as a baguette and some fresh hot coffee. And now that the weather is warm, it's very French to enjoy your meals outdoors--or en plein air. special ideas about making the most out of your mornings? I'd love to hear, mon amis!